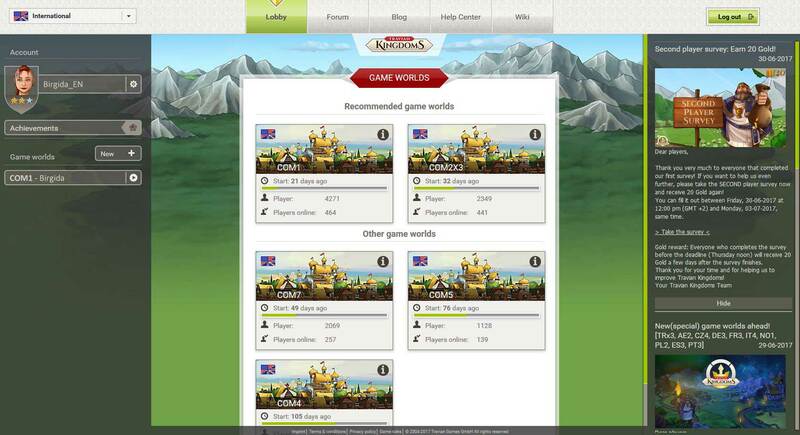 With the special game worlds starting soon, the Kingdoms lobby also is getting new facelift. The overall look is more bright and fits to the style of the navigation bar. Playing a round of Travian is challenging and actively playing more than 2 or 3 rounds at once is rarely done. That is why we gave more room for the Kingdoms news and transferred the list of game worlds you are playing to the center of the screen. Now, it is easier to find a new game world to start on since they are shown prominently in the middle of the lobby start page. A new green bar on the top of the game world section indicates the progress of the game round. On first glance, you’ll see if it is a special game round, like a Night Truce round, or a normal Kingdoms round. And how so? Well, you’ll either see the king guarding your village at night with a burning torch in one hand or you’ll see him standing there in bright daylight holding his sword. When hovering over the information symbol, a mouse-over will tell you the details of a new world. But what kind of game round indicates that other image on the screenshot below? We will reveal that soon here on the Kingdoms blog. It won’t have anything to do with an Ice Age. That’s for sure. Plus, you can read the Kingdoms News now on the left side of the lobby. And yes, that will leave a huge gap on the right side of the screen. We’ll soon fill that with a global chat feature. 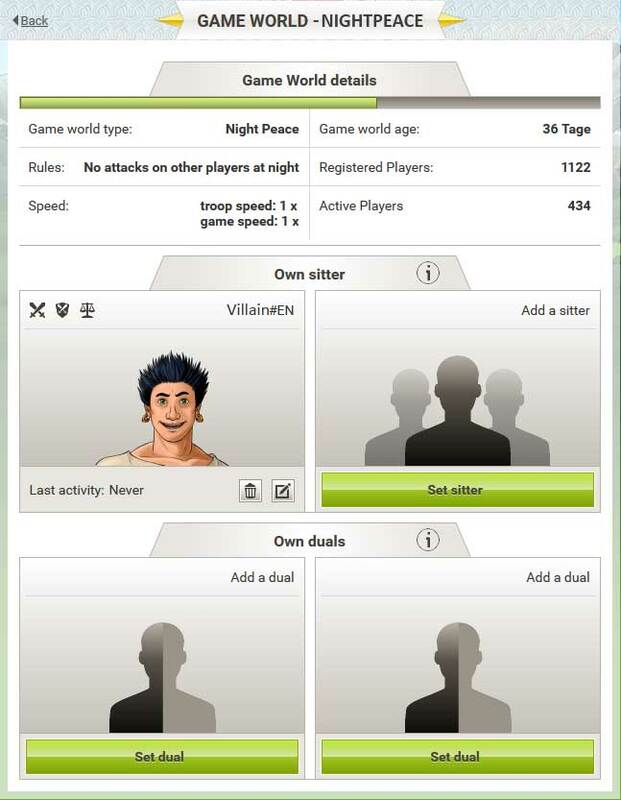 You will be able to chat with your Kingdoms friends even when you are currently not playing on a game world. This will make it easier to stay in contact with each other even after a game round ended. Your achievements are still available when clicking on “Account” next to your Hero portrait. Are you interested in a prestige ranking to compare your own prestige level with that of other players? We are. That is also a feature that will await you soon in the new lobby. 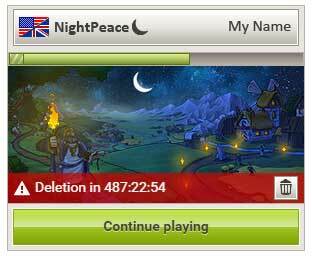 In the overview of the game worlds you also see when your account on a game world is in deletion. This happens automatically when your avatar is becoming inactive on a current game round. In game, your villages are shown grey. All inactive accounts will be deleted after 3 weeks. Now, you will see the countdown in the lobby. You can disrupt the deletion process with a login into the game round or by clicking on the bin symbol within the red stripe of the deletion notification. What you also can see is that the green duration bar of the game round is devided into a striped and a bold part. The bold part marks the time you are playing on this round. When you didn’t start on the first date, you will see also a striped section to indicate how much time you missed. When clicking on the game world name, you will reach the overview page with all the game world details. Here, you can add a sitter or a dual and change their settings for this specific game round. 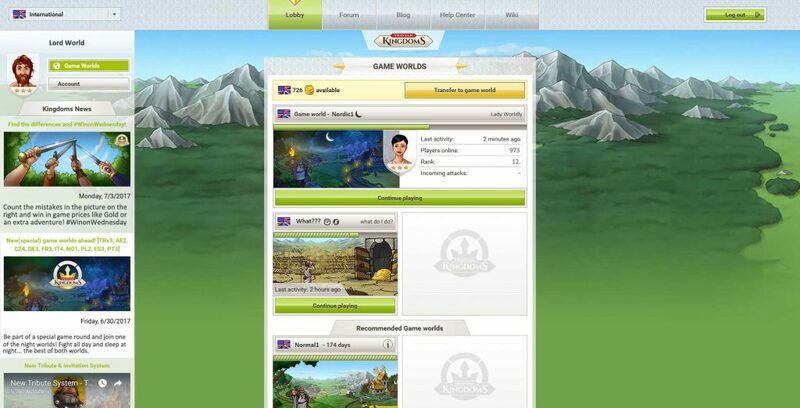 The game world detail screen includes information about the type of the game world with special rules, the game world age, speed and how many players have registered or a active. We wanted to show you in detail where your Global Prestige is coming from. 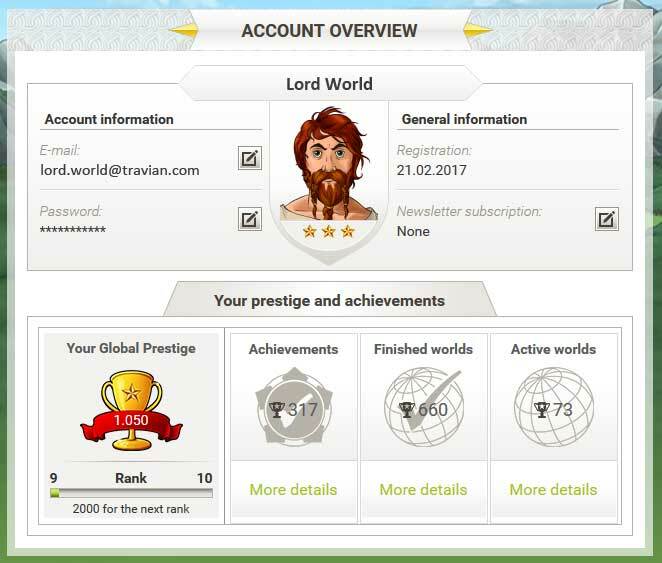 That is why we integrated in the account overview not only your Global Prestige rank, but also a list of your finished worlds and a list of your active worlds. When you click on “More details”, you will see which game round brought you what amount of prestige. Here you can also find you achievements. How do you like the new design? Will it help you to keep better track of which game worlds you are playing on? Is it also hard for you to wait for the features coming soon? Let us know in the comments or in the forum!